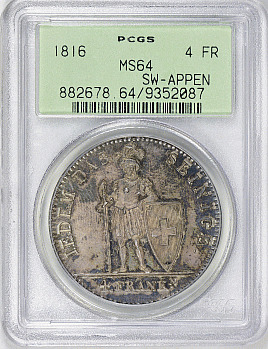 A more scarce issue from a mintage of 1,850 pieces. Deep old toning throughout. From the Ruth Weinberg Estate of Old Holder Swiss Coins.